It can be hard for a parent to leave their child, especially a newborn, with someone they don’t know that well. But the fact remains that many parents can’t afford to stay at home all day with their kids or they may need some time to themselves once in awhile. We provide full-time or part time childcare for your child(ren). Lisa Capovilla, one of the the child care specialists, understands how tough it can be, as a mother of two. She understands that special bond a mother has with her child(ren). Childcare has been a lifetime love of hers and she’s excited to be able to continue this passion. 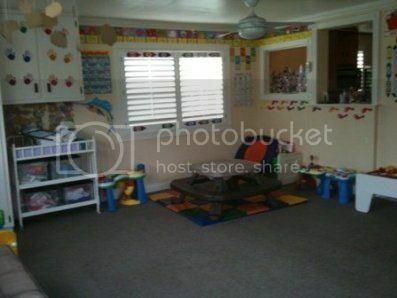 Our day care center specialists understand each child has their own individual needs and personality. We don’t neglect any of them; and make sure to give accurate updated reports of play and nap time to parents when they come to pick their child(ren) up so they feel included in their child(ren)’s day.